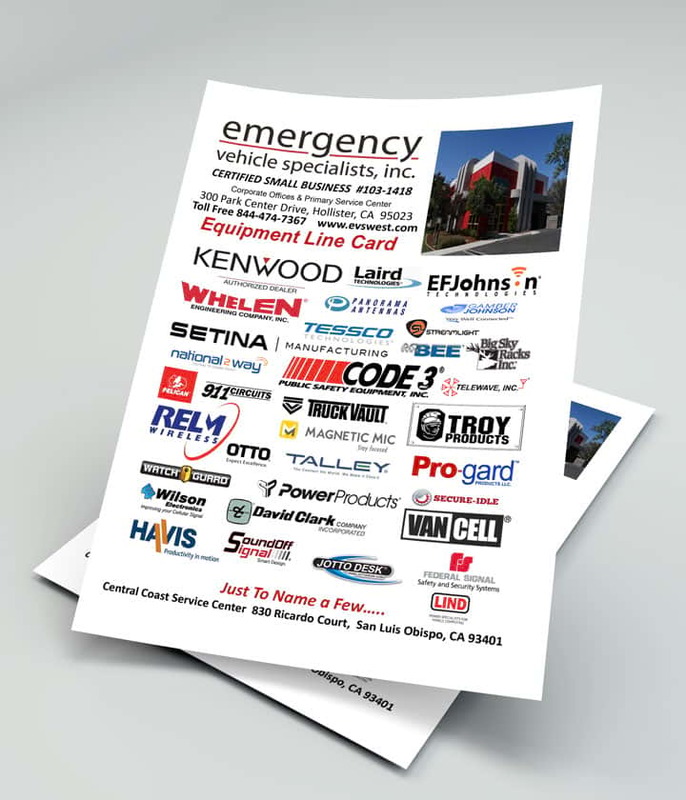 Fire/EMS - Emergency Vehicle Specialists, Inc. 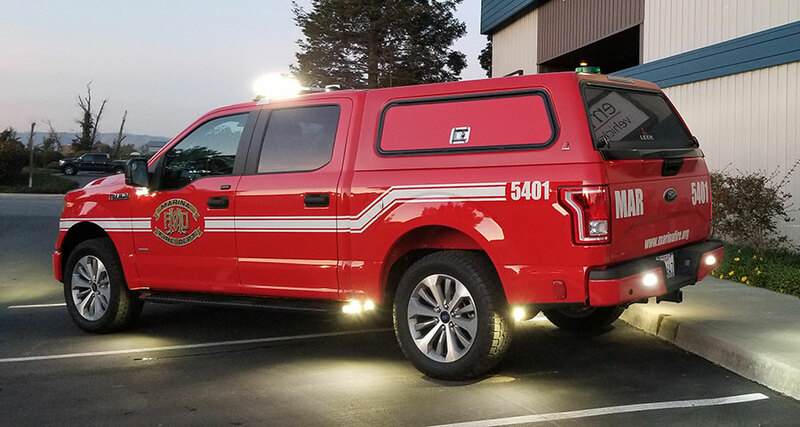 This 2018 Ford F-150 was designed and built for commanding scene operations. Serving as a mobile command center, this truck has everything needed to facilitate ground operations locally and out of the county. 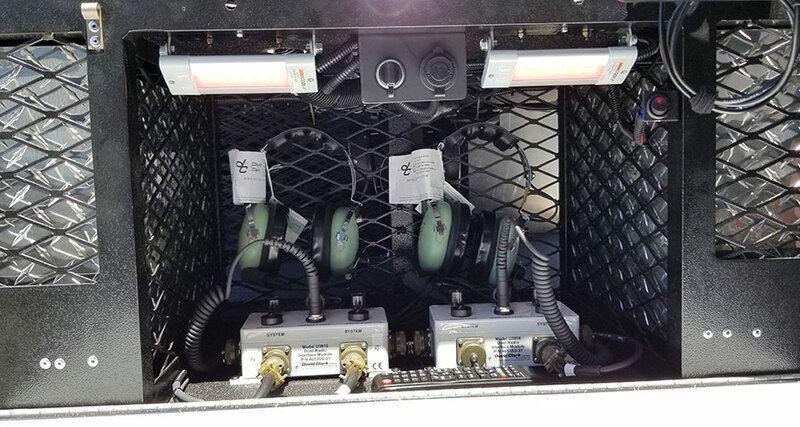 With warning systems by Whelen and Code 3, scene lighting by Rigid Industries, equipment storage by Tuffy, two-way radios by Kenwood, connectivity by CradlePoint, a charging system by Blue Sea, inverted power by Xantrex, 12-volt distribution by 911 circuits, and a Cargo Glide. Built to succeed in on and off-road situations, this well-built F-150 is an efficient and great looking tool for their Command Staff. A 2018 Chevy 1 Ton Suburban was needed to fit a large amount of equipment installed. 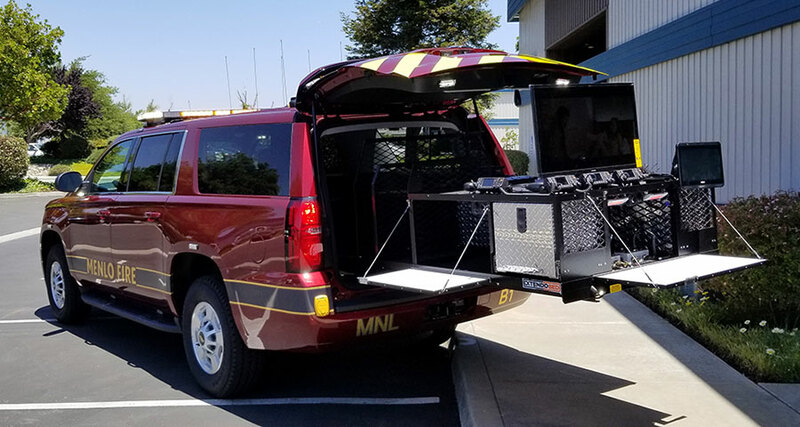 Capable of supporting 4 commanding officers working simultaneously out of the rear of the vehicle, this Suburban has everything needed for scene management in the 21st century. With lighting by Code 3, Whelen, and Rigid Industries, siren by Code 3, console by Troy, 4 position headset system by David Clark, two-way radios by Kenwood, dual modem connectivity by CradlePoint, turnout storage by Rockland, pullout storage by ExtendoBed, MDT with remote display by Havis, dual opti-com by 3M, 12 volt distribution by 911 circuits, charging system by Blue Sea, and smart LED display by Samsung, this vehicle is truly the big beast on scene. We greatly respect those who work in fire and EMS, and we take their safety seriously. 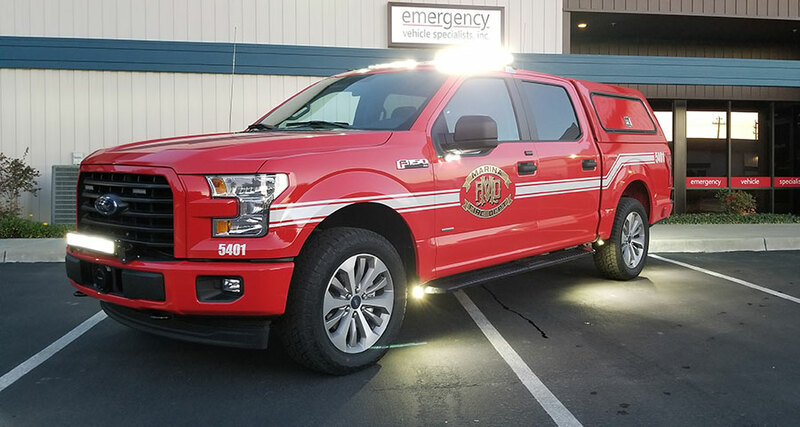 Whether you need service on a pickup, an SUV, a ladder truck, or a water tender, we’ll provide and install the tools needed to get the job done as safely and efficiently as possible. EVS provides a wide variety of services, from small repairs and finishing touches to full vehicle upfits. You can visit our gallery to see our latest builds, and you can give us a call if you need assistance with your next project. 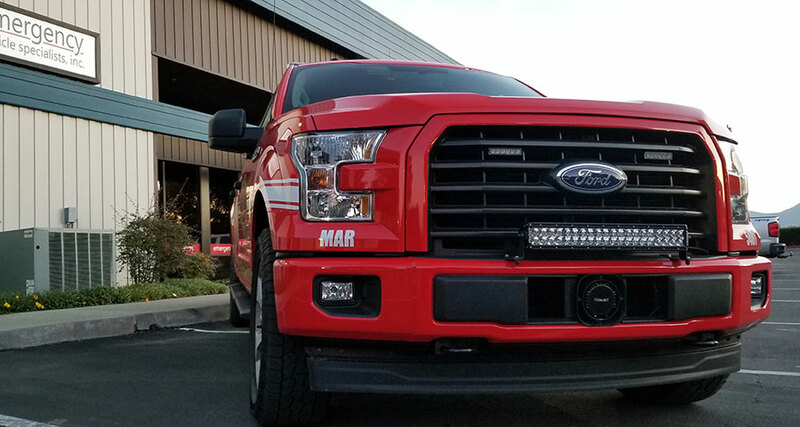 One of our proudest projects at EVS was the Marina Fire Department’s Ford F-150. 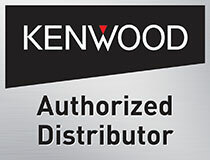 It has scene lighting by Rigid Industries, warning systems by Whelen and Code 3, two-way radios by Kenwood, and a variety of other important technologies from the best manufacturers. 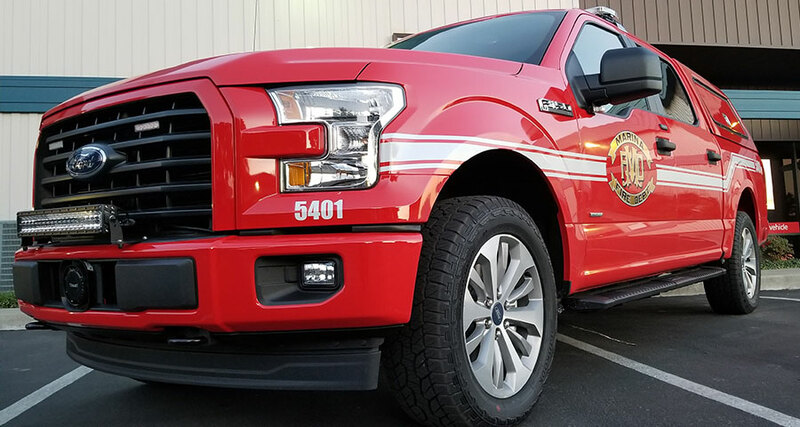 With our upgrades, the F-150 can serve as a mobile command center for the fire department, and it can handle on-road and off-road travel. 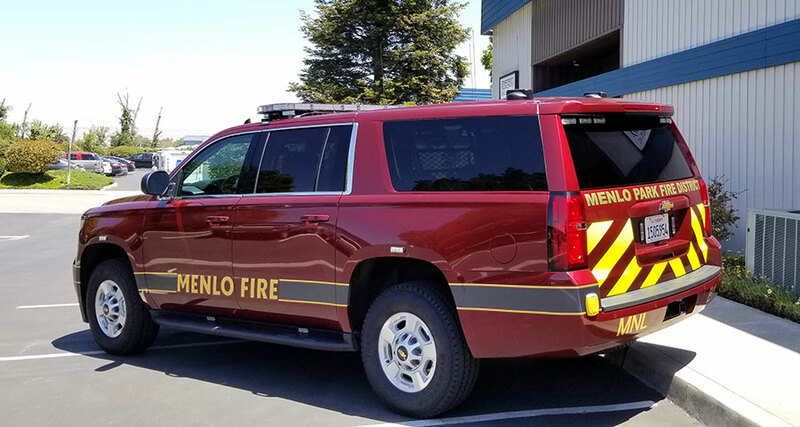 We also assisted the Menlo Park Fire Protection District with their 2018 Chevy 1 Ton Suburban. The vehicle now has everything they need for scene management, and it has space and equipment to support four officers working simultaneously. 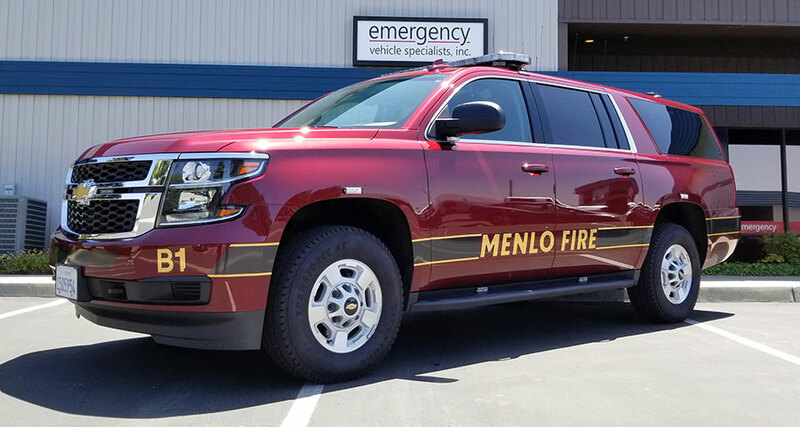 Our team at EVS is happy to help California fire departments get the safe, powerful, and efficient vehicles they need to protect the community.